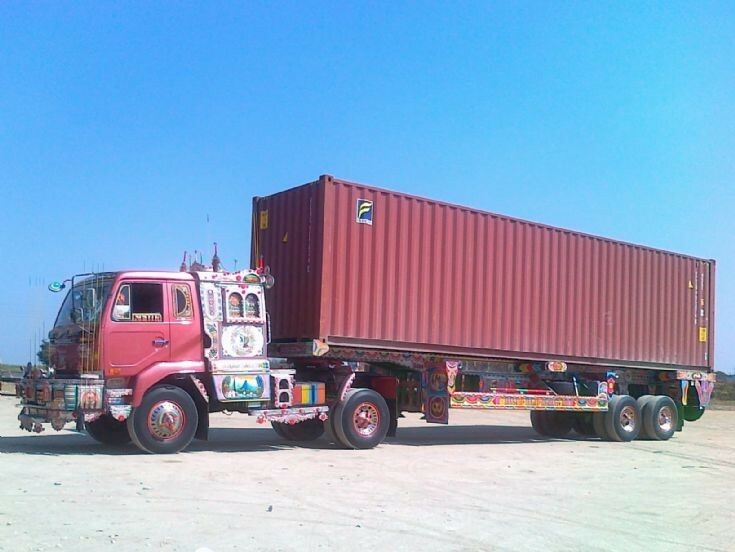 This decorated truck was seen at Sada-Bahar Truck stop at Chakwal-Mianwali highway. Carrying container from Islamabad to Karachi container port. Truck is owned by M. Shoukat Transport based Mianwali. Truck's model is UD NISSAN DIESEL PKD 411 E, while year of make is 2010.